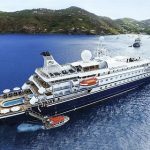 SEADREAM Yacht Club says that having already gone beyond expectations with bookings with its first-ever season in Cuba in 2019, it’s decided to follow-up with a second season there in early 2020. It’s seven new sailings in February and March of 2020, will give those fortunate enough to take part a week-long look at some of the island nation’s least-travelled, yet most-fabled destinations… and like 2019, with Australians and New Zealanders amongst the front-runners making bookings. Departing from Cienfuegos on the south-east coast and sailing to capital Havana on its north-east (or vice-versa,) these 2020 voyages should prove true eye-openers for the more adventurous of SeaDreamers… Cienfuegos itself dubbed “The Pearl of the South” and visited early by Spanish Conquistadors, and later settled in 1819 by French explorers who quickly valued its fertile grounds for agriculture. The early Spanish also built a fortress in the 1740s as protection against Caribbean pirates and which is still there today, while there are also more Neoclassical buildings from the 17th century that any other centre in the Caribbean. SeaDream’s 2020 sailings will also have a day in central Cuba’s Trinidad that the Spanish founded in 1514, and is today dubbed the country’s “most captivating outdoor museum” with its cobblestoned streets, wandering wild donkeys, street musicians, and exceptional beaches. And Cayo Largo that SeaDream will visit as well, is a natural paradise claiming more of the world’s finest undeveloped beaches, and explorations by 4WD and horseback. There will also be a day at the unhurried island of Isla de Juventud whose historic caves are lined with Indian paintings, and another at Maria la Gorda that sees few tourists on its quietly remote beaches that are a paradise for scuba divers and snorkelers, and home to organised turtle safaris. SEADREAM is akin to sailing your own private yacht with around a hundred friends, and with wines included with lunches and dinners, drinks from the open bar, power and sail watersports, mountain bikes for shore expeditions, and a free onboard golf simulator and fitness centre. 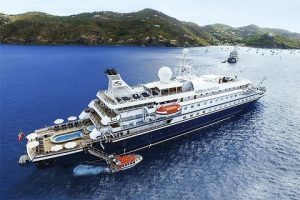 SeaDream’s seven-day sailings of Cuba in February and March of 2020 start from US$5689pp twin-share, including wines with lunches and dinners, open bar, a shore excursion in each port of call, power and sail water sports, mountain bikes for shore expeditions, a free onboard golf simulator and fitness centre, and port charges and taxes.